Bold, risqué and quirky sums up a new viral marketing push for Levi's dubbed "Unbutton Your Beast." 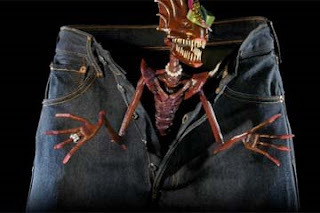 Already raising eyebrows, the online effort allows consumers to get creative with a pair of 501 jeans that unzip to reveal a talking creature. Starting today, consumers can visit Unbuttonyourbeast.com where they will be greeted by a large pair of jeans that asks them to create, customize and send their own "beast." Site visitors can choose from such creatures as "Paul the Pincher," "Sock Nasty," "Honky Tonk Hank" and "Saucy Sal," then add a pre-recorded message or record their own via phone technology that captures voices.